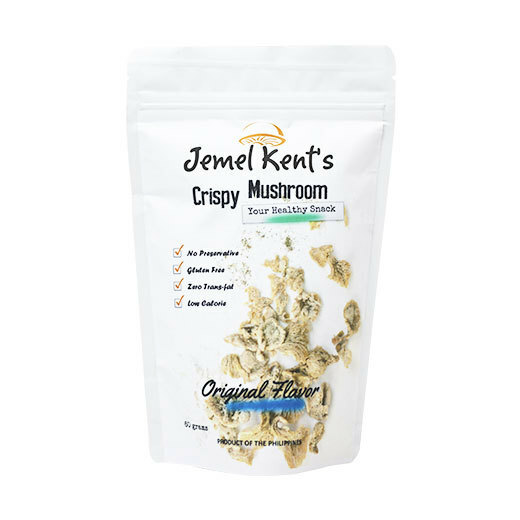 Jemel Kent's crispy mushroom is made from freshly harvested mushrooms and ingredients that have been carefully selected making each bite irresistibly good, crunchy and delicious. Our crispy mushroom is perfectly seasoned with passion and dried with patience. Light and crunchy, neither hard, greasy nor floury. Enjoy goodness in every bite. Comes in Original/Plain, Chili Barbecue or SourCream.